Please feel free to contact us to discuss any repairs you may need on the Headless Hotline. We stock high grade sealed 623-2RS bearings for the TransTrem and "S" trem tremolo systems. We install the matching bearing pins here in our shop and check and verify the operation of each one before shipment. If you have a Steinberger with either of these tremolo systems and have never had the bearings changed, you're in for a great revelation. New bearings will allow your tremolo to work much more smoothly and allow it to return to zero accurately. 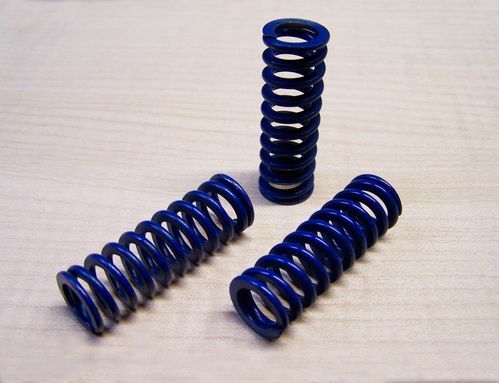 We carry the correct replacement springs for the TransTrem and "S" trems. 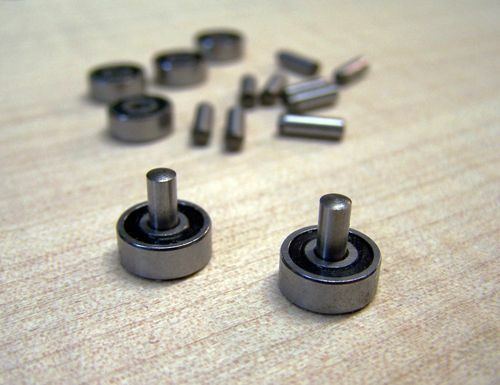 We recommend replacing your spring when you are replacing your bearings. 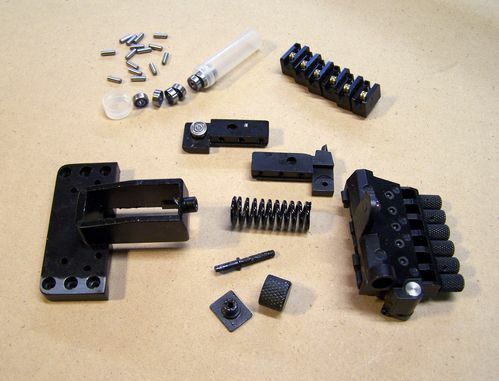 The new springs will provide a slight increase in tension and will make the trem-arm feel a bit "tighter". These are high-quality springs and are an inexpensive way to maintain your tremolo. Our first recommendation would (always) be for you to ship us your guitar to have our experienced technicians do all of the needed work for you, we are experts in all aspects of Steinberger repair. To our knowledge, we are the ONLY repair facility that has original Newburgh Steinberger factory-trained technicians available to service your instrument.